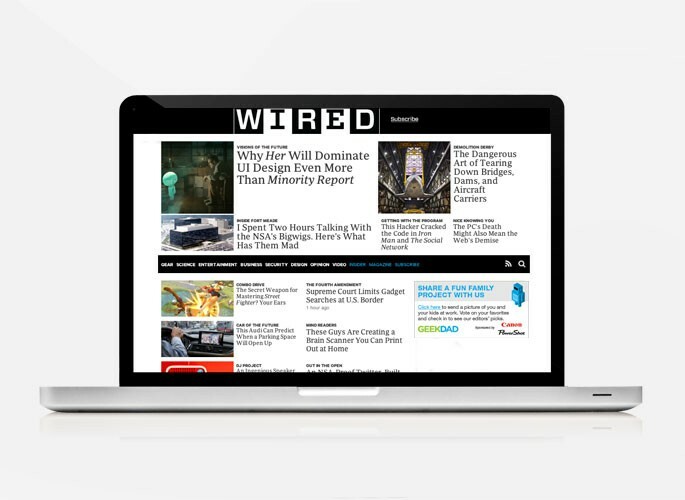 Inspired by Canon PowerShot creative, “Stay up until Dad gets home mode,” WIRED developed a custom integrated program for Canon around the GeekDad editorial franchise. 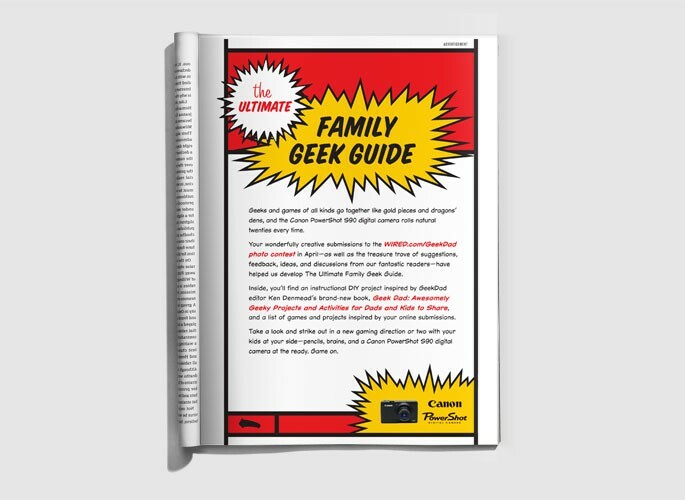 Print: A 4-page gatefold featured excerpted activities from the GeekDad book, plus crowdsourced content from the GeekDad blog. 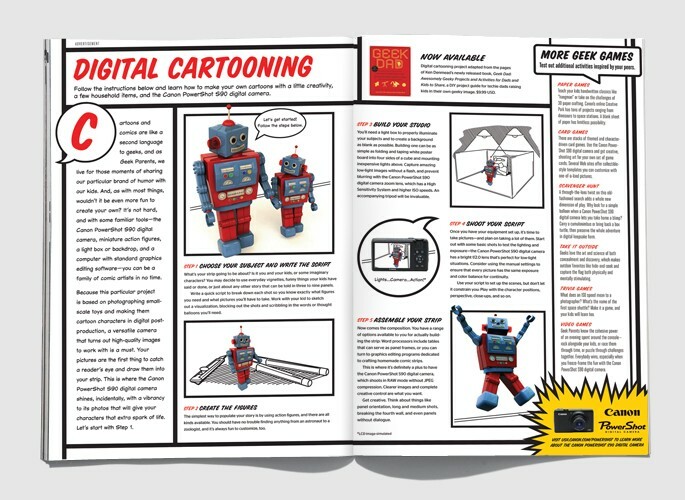 Digital: An editorial crowdsource offered Canon prizes for the best GeekDad project submissions. Live: WIRED hosted a GeekDad event at San Francisco toy store, Paxton Gate. The event included a book signing by Ken Denmead, editor of WIRED’s popular GeekDad blog, three interactive projects, and integrated the Canon PowerShot 90 digital camera.